Start with 10 Free Spins (NO DEPOSIT BONUS) upon registration on The Tipsy Tourist video slot game! Get 100 FREE SPINS plus an incredible 200% and 300% WELCOME MATCH BONUS on the 1st and 2nd deposits! Get a MOBILE BONUS - Play on the go & enjoy action & excitement with 20 FREE SPINS during SPRING on the Honey Money mobile slot! DAILY BONUSES - Get a 200% DEPOSIT MATCH BONUS of up to $1,000 every day! When it comes to game variety, great bonuses and a strong customer support team, Vegas Crest casino just about has it all. The site not only offers a thrilling, staggered welcome bonus, but it also boasts live chat support on a 24/7 basis, making it a popular option for players looking for a quality online gaming experience. 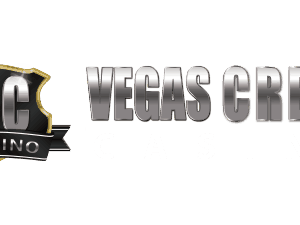 Vegas Crest casino has a dark, slick look and feels to it, with the logo itself taking on a very police-like appearance. It’s as if the casino is welcoming players to mysterious, underground world of online gaming, making it somewhat all the more appealing. They were only established in 2014, which makes it one of the newer online casino sites in the industry. Still, with that being said, the site has come a long way in being able to offer players a memorable gaming experience. The site is licensed with Curacao eGaming and accepts players from the US. The casino is owned by the Vista Gaming Network. And it starts with the casino being built on a strong platform of software developers, including Betsoft, Saucify, Habanero, Rival and House Bingo Rooms. Game variety is something that is extremely important to players and Vegas Crest casino has ensured that it is able to meet the needs of its players by offering a truly exciting selection of some of the most popular online games. Players will get the chance to try their hand at table games, specialty games, and video poker, as well as a number of additional, thrilling titles. The slot selection is perhaps one of the most exciting features of the site, and boasts games that include; Strike Gold, Birds!, a Christmas Carol and Money Magic, to name but a few. Players will be very happy to know that they can access Vegas Crest casino from just about anywhere simply by visiting the mobile version of the website. This can be done using just about any tablet or device, including iOS, Android and Windows tablets and smartphones. The welcome bonus on offer by Vegas Crest casino is a generous one and includes a cash bonus, as well as a number of free spins. Players will receive the free spins once they have registered with the site, but they will need to make up to two deposits in order to claim the match bonuses. This sort of staggered welcome bonus allows players to reward themselves for returning to the casino. This promotion is subject to a wagering requirement of 30x the bonus and deposit. This wagering requirement must be met before players will be able to make a withdrawal from their account. When making deposits, players can choose from Bank Transfers, Visa, Mastercard, Bitcoin, Solo, Switch, Moneybookers, Ukash, and Neteller. In terms of withdrawals, players can pick from; Bitcoin, Neteller, Cheque, Bank Wire Transfers, Visa Electron, Visa, and Skrill. Customer support is important to just about any and all players, and this is something that Vegas Crest casino understands. For this reason, the site is making it easy for players to get in touch via a live chat feature, which is available on a 24/7 basis. Players also have the option of getting in touch with the customer support team via the fax line or email. The customer support team has a reputation for responding to emails very quickly. In order to keep their players safe, including preventing the personal and financial information of their players from falling into third party hands, the site uses 28-bit SSL encryption technology. This encrypts all information passed to and from the casino.